Hubert Keller, one of America's most renowned chefs and co-owner of Fleur by Hubert Keller, is truly passionate about food. However, TravelsinTaste recently had the delightful opportunity to speak with him about his other passion: music. When we heard that Chef Keller had recently regaled guests at Vegas' Uncorked -- not as a chef, but as a DJ -- we knew we had to find out more about his secret hobby. 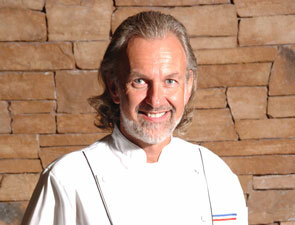 TravelsinTaste: Chef Keller, we've heard that you have another passion, aside from cooking -- deejaying? How did you become interested in that? Keller: A good friend of mine, Frenchy Le Freak, is a very respected DJ in San Francisco. I started getting closer to him and he was explaining how everything works. I was fascinated by how he handles an entire room -- a huge, huge room -- and by how he can create and change the mood of that room. I have always loved music. I played several instruments when I was young. I played piano and drums and all kinds of stuff. But this was fascinating, because by handling a mixer in front of you and touching a couple of buttons you can get the whole place off the hook. That's how the whole thing started. When my wife, Chantal, saw that I was getting really involved with it, she actually surprised me with a complete DJ set as a gift. I don’t know how the neighbors felt about it, but that was really cool! TravelsinTaste: Do you incorporate deejaying into your restaurants? 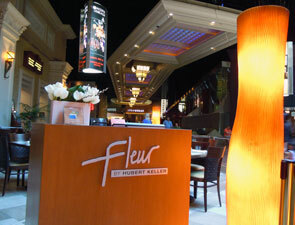 Keller: When we originally built Fleur de Lys in Mandalay Bay seven or eight years ago, that was part of it; it was the first upscale restaurant at that time that actually had a DJ booth. We felt it was just as important as great ingredients, the bar, the mixologists and, of course, a great kitchen and a great sommelier. Part of the experience is the music, which helps somebody actually sense and feel the room. It's background music for the moment, actually. That's how I did it. Also, in all the Burger Bars I do the playlists. That's really how the whole thing started.